Janice (Jan) Blanche Lessor Hillyer was born Oct. 12, 1931 and died Aug. 19, 2018 from complications of congestive heart failure. Jan was born on the family farm near the town of Denmark, Kansas. She attended the local one-room grade school through eighth grade and then boarded with a family in the nearby town of Lincoln to attend a bigger high school in preparation for college. When she was 14 she contracted meningitis following a visit to army barracks. Following World War II, penicillin, which had been severely restricted outside of military and scientific use, became widely available and she attributed her survival to receiving the antibiotic. 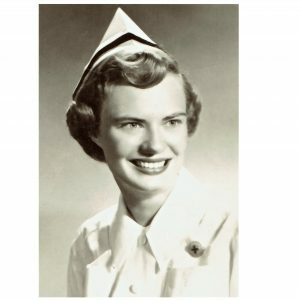 Jan started college at Kansas State and completed her degree at the University of Kansas, becoming a registered nurse in 1954. She met Kenneth W. Hillyer while he was in medical school and they married in 1955. 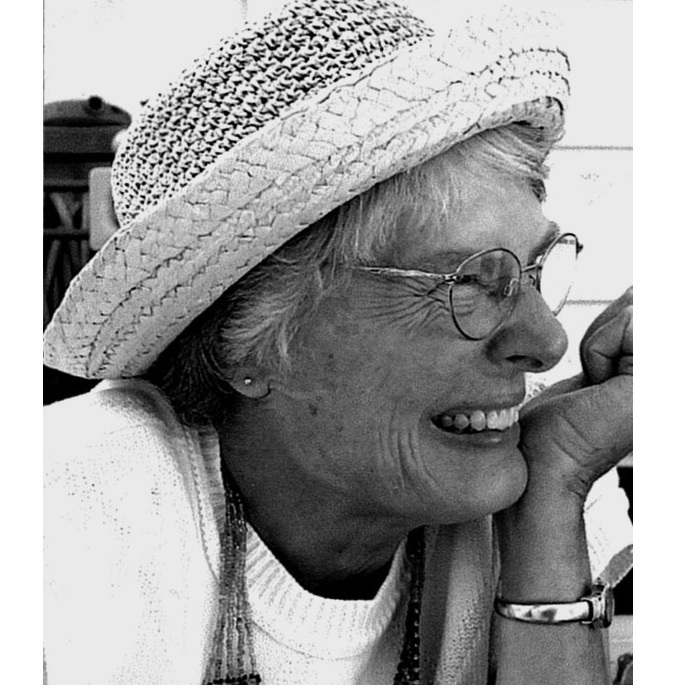 She worked as a school and summer camp nurse before they moved to Portland, Oregon in 1958. Jan taught nursing at what is now Oregon Health Sciences University from 1960-61 while Ken completed his residency. In 1961 they moved to Eugene, Oregon. They had two children, Jon Frederick Hillyer and Anne Kirsten Hillyer and were divorced in 1980. In 1984, Jan was diagnosed with retinitis pigmentosa, a progressive eye disorder that causes blindness. Over the years, she was appreciative of the support she received from the Oregon State Commission for the Blind as she attended their adaptive skills camp and enjoyed books on tape. When her children were older, Jan completed a nursing re-entry program and returned to her love of working as a pediatric nurse at Sacred Heart General Hospital until 1994. Following her retirement, she enjoyed playing tennis, gardening, attending church and looking for garage sale treasures. In 2002, she moved to Milwaukie, Oregon to be nearer to her sister, daughter and grandson. Jan had a passion for nursing, children, health, organizing, home maintenance, her family, and her Golden Labrador Gretchen. She loved following the University of Oregon sports teams and Portland Trailblazers basketball. She was a member of Milwaukie Presbyterian Church. Jan is preceded in death by her parents Clarence and Hulda Lessor and a brother Ross Lessor. She is survived by her son, Jon Hillyer (Jenifer), grandchildren Madeleine, Luke, Jack, great-grandson Max, daughter Anne Hillyer, grandson Wolky Samboy-Hillyer, sister Joana Lessor Frick, and her brother Leo Lessor (Joleene). The funeral will be held at 2:00 pm on September 16 at the Milwaukie Presbyterian Church. The family suggests that donations be sent to the Foundation Fighting Blindness, 5447 Butternut Circle, Minnetonka, MN 55343 (www.blindness.org).